They’re very practical for teaching lashings. 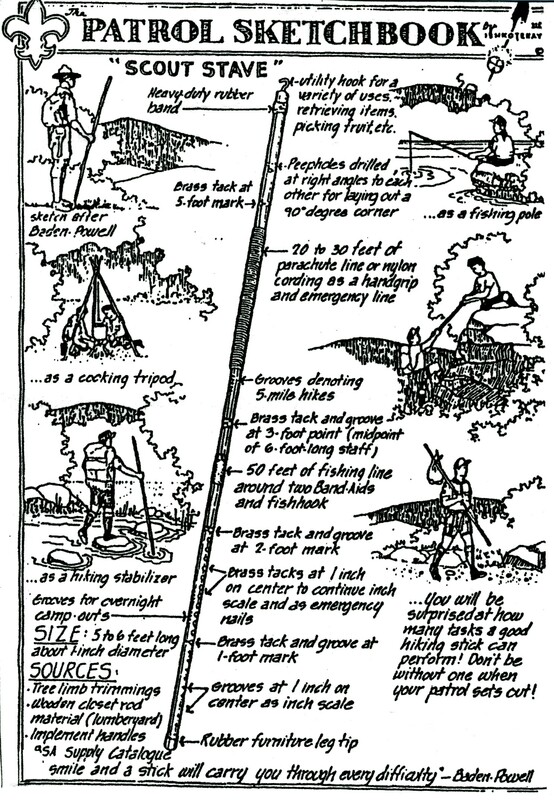 “The Scout staff is a useful addition to the kit of the Scout. Personally, I have found it an invaluable assistant when traversing mountains or boulder-strewn country and especially in night work in forest or bush. Also, by carving upon it various signs representing his achievements, the staff gradually becomes a record as well as a treasured companion to the Scout. 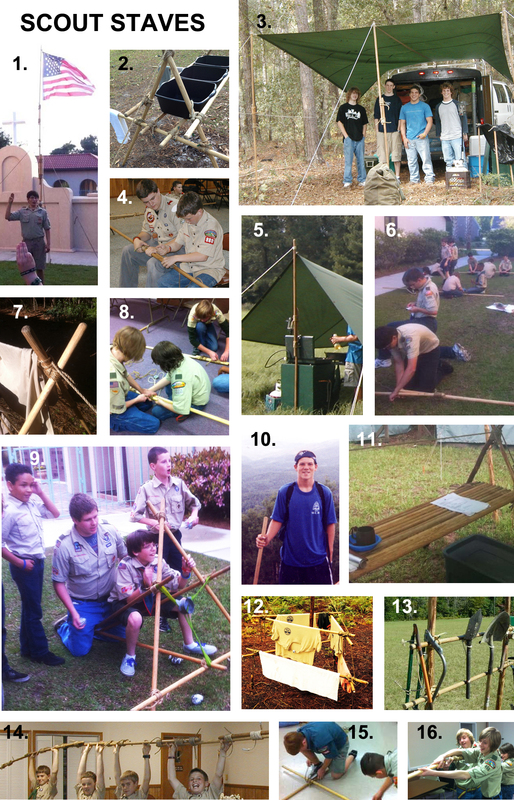 Some Camp Gadgets made with Scout Staves. Scroll down for a page from the “Patrol Sketchbook” pertaining to Scout Staves in the comments section. Hi Larry, could you please post more details about “9. Interpatrol Competition: New Market Ballistas”. I imagine that will be very popular with most Scouts!